The first decades of photography were a period of continual innovation. 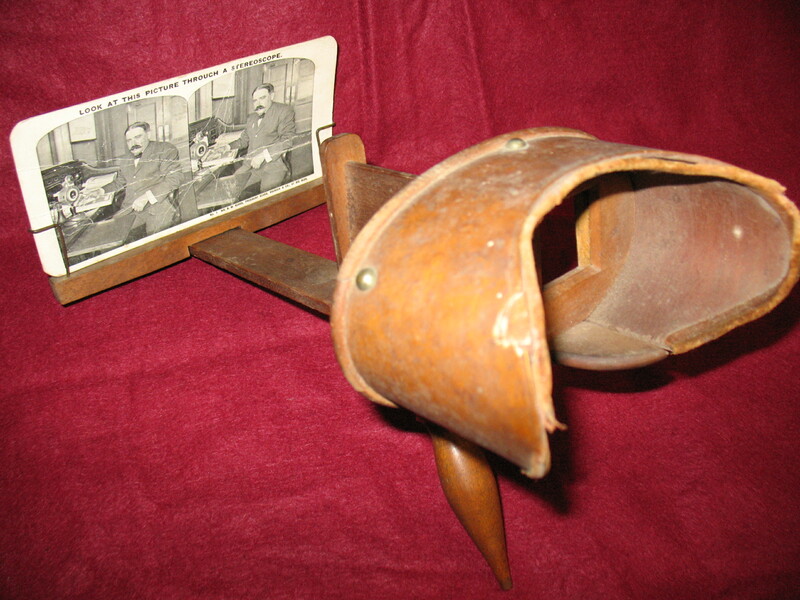 One of the more curious inventions to come from that time was the stereograph or stereoview. Invented in the 1840s and first presented to the public in 1851, the stereograph was the first time three dimensional perception was created using two dimensional images. 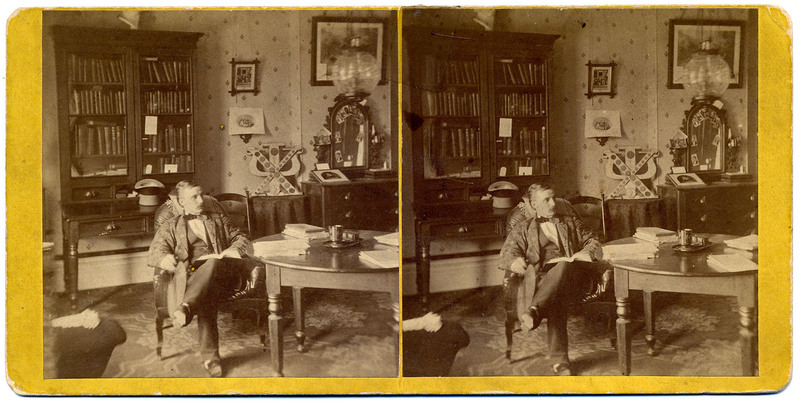 Stereographs gained widespread popularity in the United States beginning in 1859 with invention of an improved viewer, or stereoscope, by Oliver Wendell Holmes, and remained popular through the early 20th century. 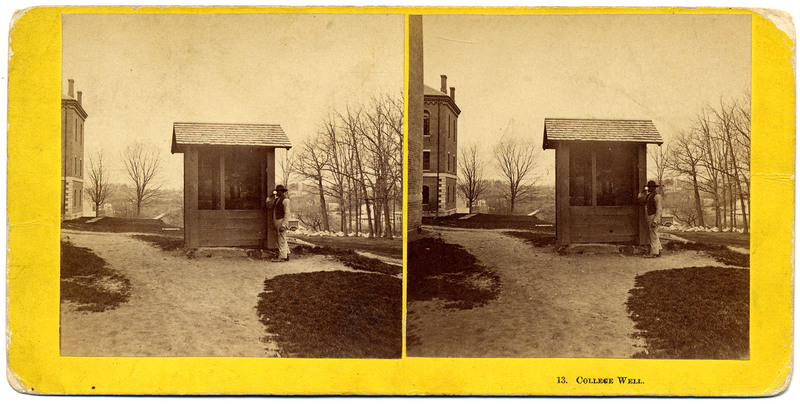 A stereograph is composed of two photographs taken with two cameras an eye’s width distant from each other and presented side by side, one to each eye, thus simulating binocular vision. As Keith Davis describes in his The Origins of American Photography, 1839-1885, “the result is a compelling, if slightly curious, sense of visual depth in which objects appear as flat cut-outs occupying discrete planes in space”. This new way of seeing distant places and people was very appealing in a time when travel was difficult and photography the main medium for learning about the world. By the 1870s, tens of thousands of stereographs were offered for sale by various photographic firms in the United States. The visual interest of the medium is such that it is still used by some fine artists and there is even a recently developed smartphone app using the same principles. The primary photographer in the town of Amherst for many decades was J. L. Lovell. 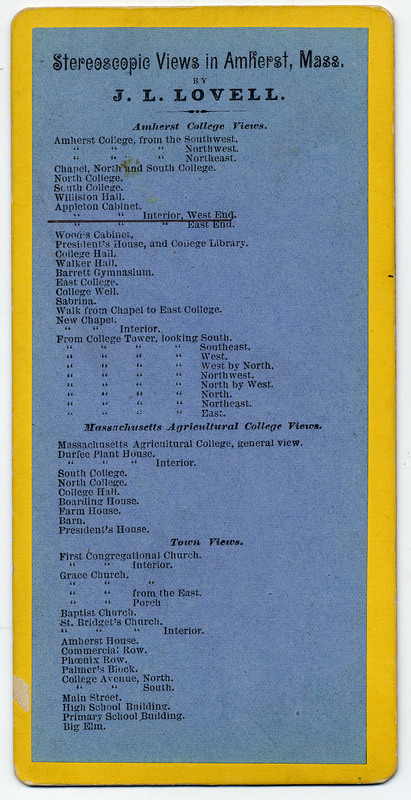 He also took the majority of photographs of all types of Amherst College and its students. He offered class albums for sale to seniors each year with pictures of the faculty, students and campus. Lovell was responsible for the majority of the photographs from the 19th century that can be found in Archives and Special Collections today. 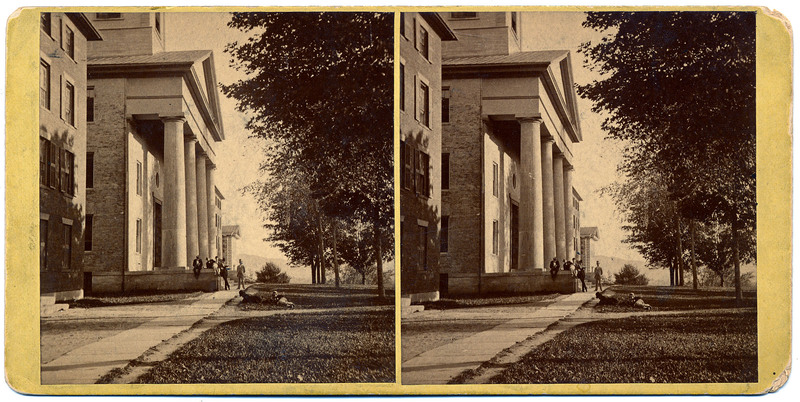 He offered stereographs of Amherst College, the town of Amherst and Massachusetts Agricultural College (later UMass) in the 1860s, 70s and likely beyond. 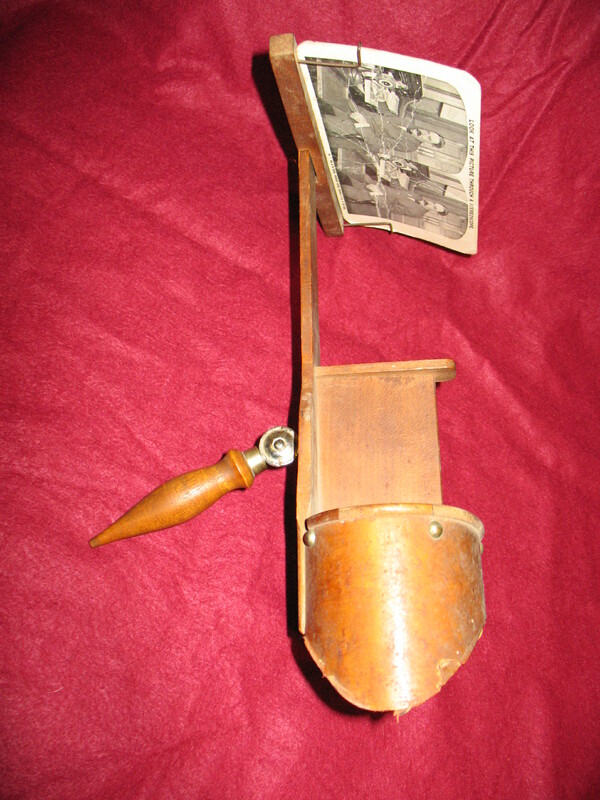 A list of views offered is pasted on the reverse of some of the stereographs in our collection, see the image at right. All the images below are by J. L. Lovell. 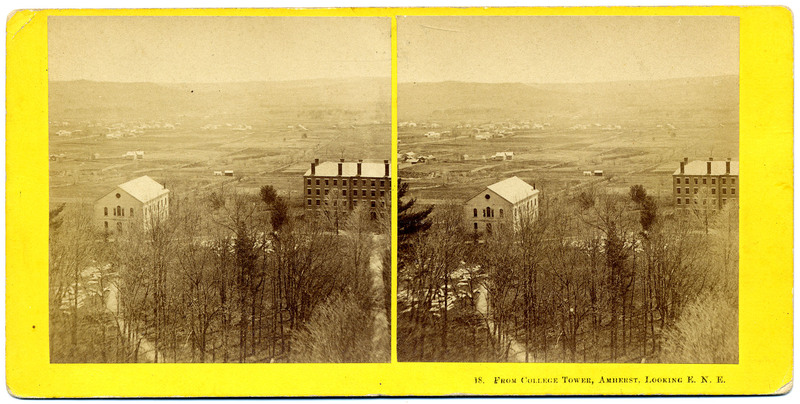 The stereographs pictured below are a small sample of the many held in Archives and Special Collections. Visitors are welcome to view all these images stereographically anytime our reading room is open, Monday-Friday 9am-4pm. 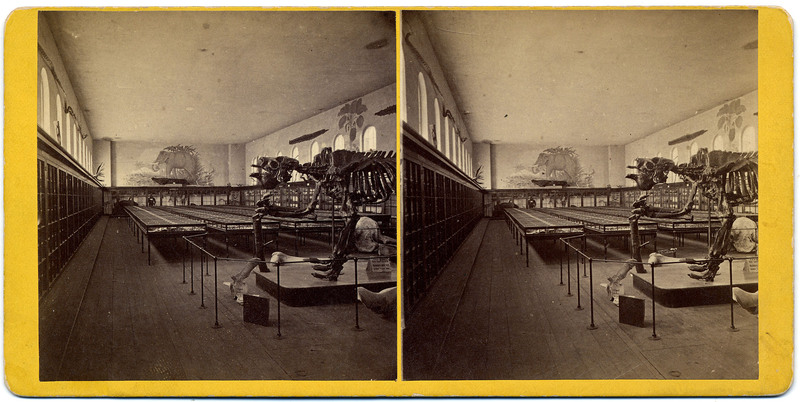 The first natural history museum (or “cabinet” as it was known) in Appleton Hall, undated. The college well, located behind Johnson Chapel. The man in the photograph is likely Charles Thompson, the college janitor for many years, undated. 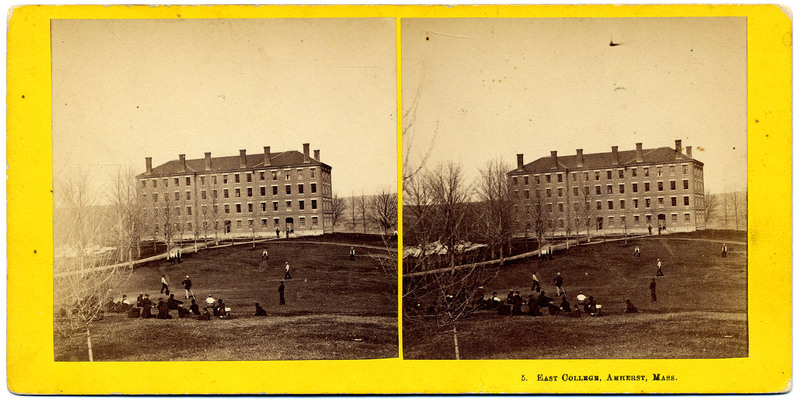 East College (a dormitory located where James and Stearns now stand) and a baseball game on the quad, apparently being played by Massachusetts rules, ca. 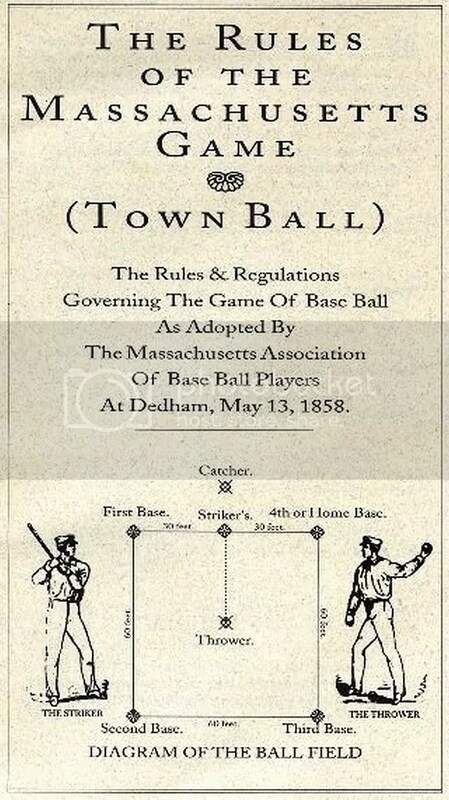 1860s. A view from Johnson Chapel tower looking over the quad toward Barrett Hall and East College, ca. 1868-1870. 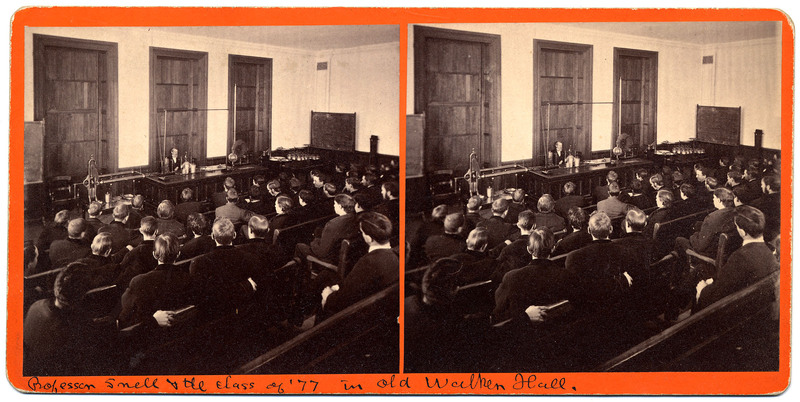 The class of 1877 in the Natural Philosophy lecture room in Walker Hall (formerly on the site where the library now stands) receiving a lecture from Professor Ebenezer Snell, 1876. 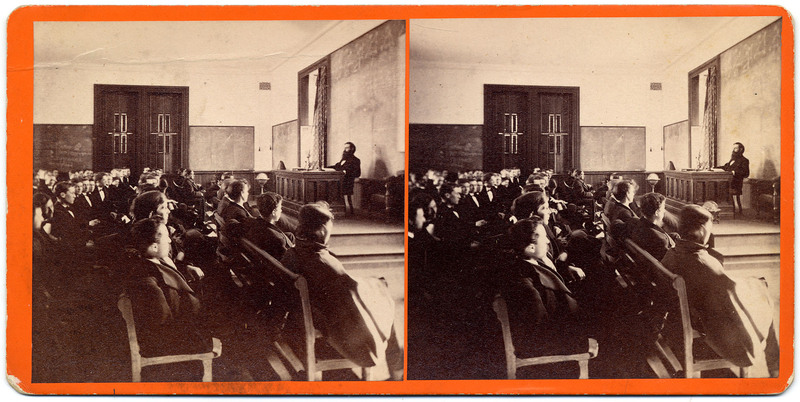 Professor Esty lecturing the Class of 1878 in the Mathematical Room in Walker Hall, 1876. 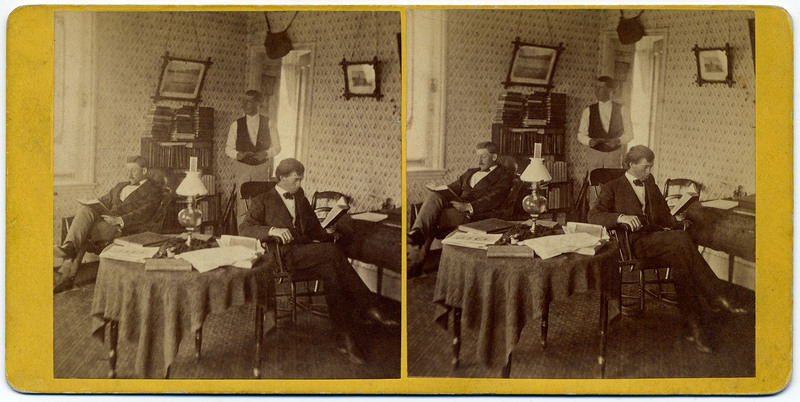 The room of Moses Hobart, Class of 1872, during his senior year. The room is in the Chi Psi fraternity; very few students roomed at their fraternity houses at this time, the majority of students lived on campus or in rooming houses in town.